Working at Alibaba means adopting a corporate ethos that places ideals above money, founder Jack Ma told former staff Thursday. Ma, who is Alibaba’s executive chairman, was joined at the gathering by CEO Daniel Zhang and Ant Financial CEO Eric Jing. It was the group’s third Alumni Meeting Day on the Hangzhou campus. 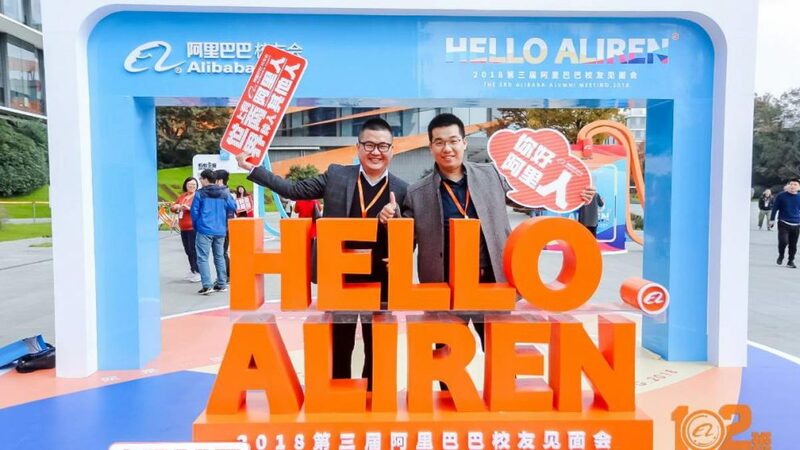 The biennial tradition of inviting former employees back for a reunion with old friends and colleagues, share experiences and hear from current Alibaba staff and executives started in 2014. 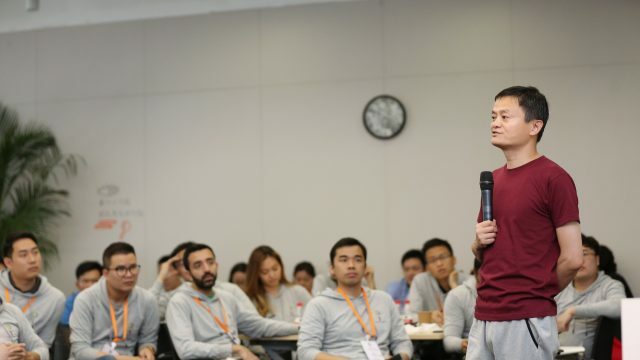 Alibaba founder Jack Ma at this year’s Alumni Day encouraged all former employees to continue carrying the spirit of Alibaba in their current workplaces. Ma, Zhang and Jing discussed the noteworthy milestones reached since the last reunion and spoke about the aspirations for years ahead. 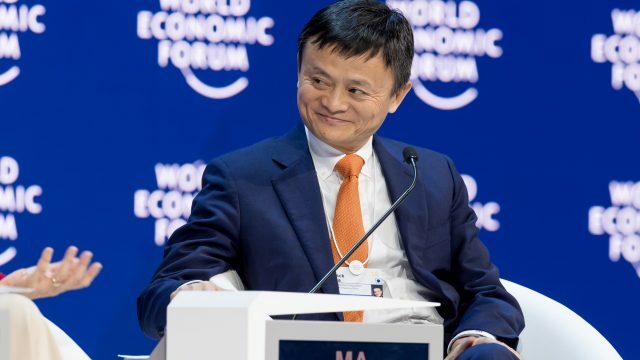 Ma pointed to the company ethos that he said has driven Alibaba since its inception in 1999, an irrepressible spirit and vision, including making it easier for everyone to do business anywhere. Jing said Ant, an Alibaba affiliate, is fully onboard with the group’s ideals. “We firmly believe in the greatness of small, that inclusion will improve lives and that technology will be driving force in making the world a better place,” he said. By nearly every measure, Alibaba has been enormously successful. The company still holds the record for the world’s largest-ever initial public offering and ranks among the world’s top technology companies in terms of market value. To maintain that status, Ma said, the company will need to remain flexible and forward-thinking to stay ahead of competitors. “We still have 83 years to go before we reach 102 years. There is no room for complacency,” Ma said, referring to the company’s plan to span three centuries: the 20th, 21st and 22nd. 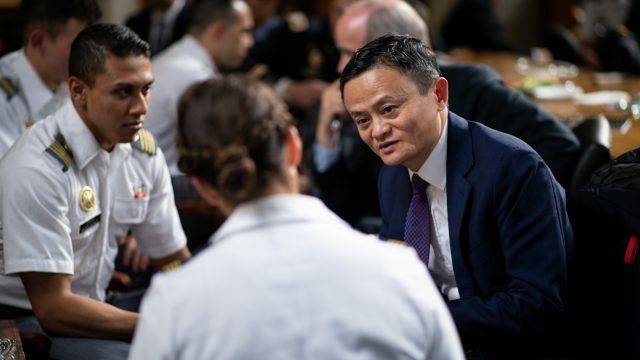 Zhang noted that the foundation in financial services, payments, logistics and cloud computing that Alibaba laid down 10 years ago has become the basic infrastructure of China’s digital economy. As the company moves forward, the focus will be on tapping growing domestic consumption of physical goods, digital products and services and on-demand local services. Those driving forces – along with the ability of Alibaba’s vast ecosystem to serve over 600 million consumers – will be what pushes gross merchandise value to $1 trillion in the near future. 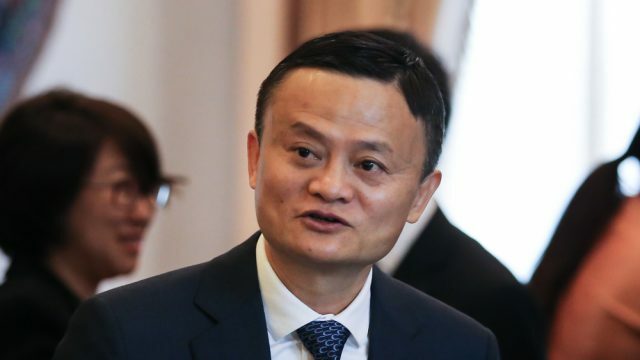 “That won’t be the final destination, but the starting point of the next leg of our journey,” Zhang said, reiterating Alibaba’s goal of one day serving two billion consumers. Every two years, former Alibaba employees celebrate their experience at the company by returning to the headquarters in Hangzhou. Ma said for the company to achieve its vision of making it easy to do business anywhere, it requires a concerted effort from employees — both current and former — and ecosystem partners are essential. Alibaba alumnus Li Yanzhu said seven years at the company left him with a strong sense of accountability and purpose. That’s why his auto dealership, Maihaoche, is about more than just selling cars. “We realized that even if we did do spectacular, we’d just be another dealership in the market and not contributing to the industry at all,” Li said. So, Li and his team researched how China’s auto industry works and how it had evolved. Their plan: to solve the biggest problem faced by the sector. What they came up with was an one-stop-shop for car dealers, including financing, logistics, storage and even software as a service. “That was when I felt relieved of the burden of being an Aliren,” he added. Alibaba founder Jack Ma (in black) and group’s CEO Daniel Zhang (second to the left) take a selfie with some former employees. For Ma, the meeting was bittersweet: It was his last as an employee, as he will retire from Alibaba next September.